15 of the best podcasts for small business owners. Ask any small business owner, and they will tell you just how busy they are. With long hours and wearing so many hats to keep things running, it's hard to find the time learn new information. That's where podcasts can help. Podcasts are the perfect tool for busy small business owners. You can listen to them anywhere from the gym to your commute to taking the dog for a walk. Plus, there are incredible podcasts on just about any topic so you can gain insights no matter your industry. 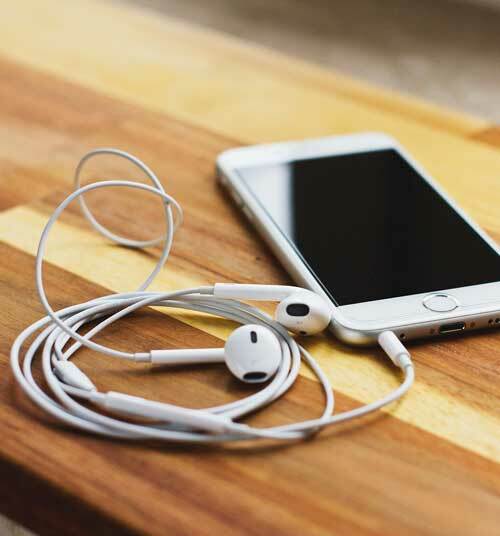 We've compiled our list of the best podcasts for small business owners right now. Start by downloading these, have a listen and, most importantly, take action. This podcast features daily conversations with entrepreneurs from all over the world who run a variety of businesses. Each conversation is about only 20 minutes long and highlights three main takeaways, giving you actionable advice from the start. In each episode, Jamie Masters sits down with millionaires and asks them to share their best strategies, tips, and insights into how others can grow their businesses. If you're looking for a podcast that provides you with a healthy dose of inspiration, start here. Tim Ferriss is the man who moved thousands of people to start businesses with his book, The 4-Hour Workweek. Now, he uses his popularity to have long in-depth conversations with some of the most interesting people in the world. Brad Farris and Jill Salzman love helping small business owners succeed. Their podcast tackles many of the questions small business owners face day to day and gets real answers from actual business owners. If you want a power packed hour of information on everything small business, tune into Business Insanity Talk Radio. Barry Moltz spends each episode interviewing small business owners to help people get unstuck. The goal of this podcast is to help women small business owners with the unique struggles they face growing a business. With multiple episodes a week on a variety of topics, you'll get all the virtual support you'll need. If you're short on time, Marketing School has got you covered. Each podcast only runs 5-10 minutes and hits on one specific marketing question or topic. The goal is to give you actionable tips and advice you can use today. John Jantsch is a world-famous marketing pro. In every episode, he brings on some of the best and the brightest in the marketing world to advise you on how to become a better marketer for your brand. Any small business owner knows how hard it is to balance growing a business and quality of life. This podcast brings on experts to show you exactly how you can have the best of both worlds. Being an effective leader is a significant part of running a successful business, but it's actually a really a hard skill to learn. The goal of this podcast is to help business owners be more productive at work and get better results by being good leaders. Financial journalist Farnoosh Torabi hosts daily conversations with some of the best minds in business to help you get your financial literacy up to snuff. The podcast covers topics on both the business and personal side of managing money successfully. It doesn't matter where you live or what kind of business you run, even the smallest changes to the economy can have a big impact. Planet Money gives you what you need to know about what's happening in the economy in short 20-minute doses. If you are someone who struggles to put yourself out there and feels that might be hampering your business, this is the perfect podcast for you. Coach Beth Buelow chats with communications and PR experts on how introverts can promote their business. Sarah Green Carmichael hosts the Harvard Business Review IdeaCast. On her show, she has quick 15-25 minute conversations with some of the leading CEOs around the world to talk about the future of business and bold ideas. Most businesses fail, but this podcast from HubSpot takes a deep dive into the businesses, people, and products that were struggling and managed to find ways to turn things around and succeed. These are a few of the best podcasts for small business owners running today. Listening to even one of these a week can offer some incredible insights that will help your business succeed.